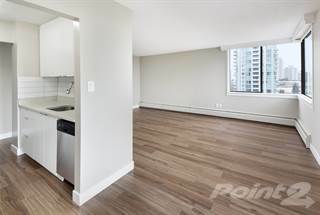 Houses for rent in Burnaby, BC are easy to filter and browse through on Point2 Homes. Whether you’re looking for apartments for rent, furnished apartments, condos, single family homes, studio apartments, townhouses or any other rentals, you can get a list of properties based on your needs with just a few clicks. 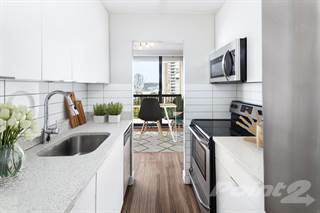 Rental homes in Burnaby, BC on Point2 Homes are displayed with important additional information, such as property type, square footage and amenities, and the name and contact information of the real estate agent handling the property. You can also learn whether there have been significant price drops in the rent during the last 6 months. Whether you’re looking for rental apartments or generally homes for rent in Burnaby, BC, on Point2 Homes you can tell whether you’re close to the amenities you need at a glance, by using the map view. And if you know exactly where you want your apartment to be in Burnaby, BC, you can simply use the polygon or radius tools to draw around the area you’re interested in, and Point2 Homes will instantly show you all the rental homes there. How much is rent in Burnaby, BC? There are two ways in which you can find apartments for rent based on price on Point2 Homes: you can either set the minimum and maximum price range yourself, or you can simply sort all the available houses for rent based on price, if you want to browse a wider range of rental homes. Once you’ve found a rental you’re interested in, all you have to do to get in touch with the listing agent is check the listing detail page – all the contact information you need will be there. If you’d rather start with expert advice, getting in touch with professional agents in Burnaby, BC is very simple on Point2 Homes. Simply go to Tools in the menu and find an agent. You get a list of featured agents in Burnaby, BC, all knowledgeable and eager to help. Burnaby, British Columbia has a population of over 220,000 people and is situated in the southwestern portion of the province near Vancouver.Itcovers over 90 square kilometres and is located close to the communities of Coquitlam, New Westminster, Richmond, and Surrey. The city is bordered by the Vancouver Harbour to the north and the Fraser River to the south.The natural beauty of the surrounding waterways and mountains help to balance the more urban areas of Burnaby, giving residents the best of both worlds. The average residential sale prices in Burnabyrange between $600,000 and $1,400,000. In the northern section, there are both older and newer single-family homes, which often have high price tags.Higher priced condo options are also available in this area, as are vacant lots. Commercial options are not as common. The central section offers mostlysingle-family homes (newer and older), similarly priced to those in the northern section. There are also some higher priced condos, as well as vacant land.Commercial options are not as common. The southern section has a mix of newer and older higher pricedsingle-family homes and condos, as well as vacant lots.There are fewer commercial options. Vacancy rates in Burnabyhave been decreasing over the past few years, sitting at or below 2%, making for a tight rental market. Some older apartment buildings in the city have been demolished to make room for condo buildings, which contributes to the lower vacancy rates and higher rent costs. Depending on the area of the city, rent costs for apartments can range between $670 and $830 for a bachelor apartment,$840 and $990 for a one-bedroom apartment, $1,020 and $1,240 for a two-bedroom apartment, and $1,100 and $1,540 for a three-bedroom (or more) apartment.Townhouse rentals are available in the northern section of Burnaby for around $1,500 per month. Major industries in Burnaby include informationtechnology, wireless, biotechnology, life sciences, film, new media, education, environmental technology/services, and professional services. Technology firms such as Ballard Power Systems, Creo, Telus, and Electronic Arts are headquartered in the city, and other businesses with operations in the city include eBay, Nokia, Chevron Corporation, Petro-Canada, Pacific Blue Cross, and Canada Wide Media. The Burnaby Board of Trade is a member-based business association that aims to develop business networks, encourage economic development, and support business and trade in the city.The city’s unemployment rate tends to sit between6% and 7% each year, which is slightlyhigher than national averages. Public transportation in the city is operated by TransLink, which has a fleet of buses that service numerous routes throughout the city at all times of the day, and many are accessible for those with children, disabilities, or mobility issues.The city is also serviced by theSkyTrain and SeaBus (ferry).The SkyTrain is a driverless rapid transit system that has two lines in Burnaby, as well as 11 stations in the city. Buses and the SkyTrain connect the city with surrounding communities like Vancouver and Surrey. School District 41 Burnabyoperates public elementary and secondary schools in the city. Examples of schools in the area include Armstrong, Brantford, Cascade Heights, Morley, Suncrest, Windsor, Nelson, Burnaby South, Burnaby North, Cariboo Hill, and Alpha. There are also a number of private school options in the city. Post-secondary institutions in the city include Sprott Shaw College – Burnaby, Brighton College, Pacific Vocational College Ltd., MTI Community College, Douglas College, CDI College – Burnaby, Pacific Link College, and Simon Fraser University (offering undergraduate and graduate programs). The Burnaby Village Museum is a living museum, with costumed townsfolk, picnic tables, a gift shop, an ice cream parlour, and demonstrations on various aspects of life in the 1920s. The museum includes over 50,000 artifacts, and its exhibits tell the story of what it was like to live nearly 100 years ago. One of the biggest draws at the museum is the restored 1912 carousel, which visitors can ride. Burnaby is home to a number of parks, including Burnaby Mountain Conservation Area, which has cycling and hiking trails, a rose garden, sculptures, and picnic sites; and Deer Lake Park, featuring gardens, picnic sites, walking trails, and an area where festivals and events are held each year. The city also offers other parks, historic sites, and recreational opportunities. 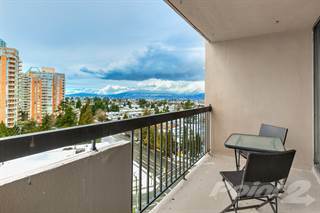 Read more about living in Burnaby, British Columbia.